Did you slip, trip or fall and suffer back injuries because of a spill, a hole or other unseen danger? Were you attacked by a person or an animal on someone’s property? Was your child injured as a result of lack of supervision? 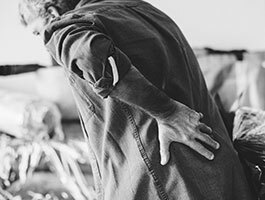 In any of these scenarios, an Ocala premises liability attorney can help you find out if the commercial entity or property owner may be liable for your back injuries and associated losses. King Law Firm in Ocala has a strong record of results in premises liability claims and lawsuits. Our Ocala premises liability attorneys know the applicable law and what evidence is necessary to demonstrate that the owner failed in a duty to protect you or your loved one. Our personal injury attorneys handle accident cases in Marion County and surrounding counties of Central Florida. Contact us today for a free case evaluation. Under Florida premises liability law, property owners can be held liable for creating or ignoring a dangerous condition. Our lawyers are skilled at documenting the danger or defect and demonstrating that the owner knew or should have known about it but failed to fix it or warn visitors. Our Ocala premises liability attorneys have successfully sued grocery and retail stores, bars and restaurants, owners of apartment buildings and parking lots, homeowners and pet owners, child care providers, owners of trail rides and stables, public entities, property management companies and other parties. Proper medical care is important to your physical recovery as well as your recovery of monetary damages. You should see a doctor in a timely manner, even if you think your back injuries or other injuries are not serious. A delay in diagnosis and treatment could make your injuries worse and creates doubt about the seriousness of your injuries or their relation to your accident. We have handled the full spectrum from sprained ankles and wrist fractures to severe neck and back injuries, head trauma, broken legs, serious burns and disfiguring bites. We have also dealt with the lasting psychological effects of sexual assault enabled by proprietors’ disregard for the safety of children, tenants or patrons. We work with a wide range of professionals to help us make a compelling and detailed case for personal injury damages. Our Ocala premises liability attorneys offer a no-cost, no-obligation consultation. Call us toll free at 352-629-8747, or email us to explore your possible claim. We take cases on a contingency fee basis, which means there are no attorneys’ fees unless we secure a settlement or verdict on your behalf.